We’d love your help. Let us know what’s wrong with this preview of Connected by Larry Formato. To ask other readers questions about Connected, please sign up. Larry Formato has a great story to tell. His testimony before congress is what led to the Penny Stock Reform Act of 1990, and he has been quoted a number of times in reference to that legislation. What Congressman Ed Markey said about his testimony really sums it up. Mr. Formato, this has been an extraordinary piece of testimony, which has been delivered to our subcommittee. We thank you very much for having the courage to appear before us today, and as the weeks and months go by, as we continue to work on these issues, we are going to stay in close contact with you. I think that there is a ring of truth to what you are saying, and I don’t think it is lost on those who serve on this committee. You have provided an important public service here today, and we thank you. I was on Trial with the Other 4, George Livieratos, Barbara Baker, Vinnie Castellano, Morton Berger and ME, R.B. Did YOU EVER TELL ME, that the Laser Arms Stock WAS PHONY!!!? I was Found Not Guilty of Securities Fraud! WTF is THAT??? 3 Years in 5 Different Prisons and a Mother, My Mother that Stole My Appeal Funds, for he r own Good, WTF, My Own Mother... 3 Years for Knowing YOU! I would Never have Sold Your Shares if I Knew they were PHONY. My Compliance Department assured me they were GOOD! Yet, I did 3 Years! Did You or Anyone You Know EVER Tell ME,Those Shares were PHONY? People ask me about my history. For that, I could say “buy the book”, but I thought it was important to have an official biography. Larry Formato has forty years experience in finance and finance management. He is considered one of the world’s leading experts in the Over-The-Counter (OTC) stock market. By age thirty-three, he owned five brokerage firms and was asked by Congress to help construct th People ask me about my history. For that, I could say “buy the book”, but I thought it was important to have an official biography. Larry Formato has forty years experience in finance and finance management. He is considered one of the world’s leading experts in the Over-The-Counter (OTC) stock market. By age thirty-three, he owned five brokerage firms and was asked by Congress to help construct the Penny Stock Reform Act of 1990. “Mr. Formato, this has been an extraordinary piece of testimony which has been delivered to our subcommittee. We thank you very much for having the courage to appear before us today, and as the weeks and months go by, as we continue to work on these issues, we are going to stay in close contact with you. I think that there is a ring of truth to what you are saying, and I don’t think it is lost on those who serve on this committee. 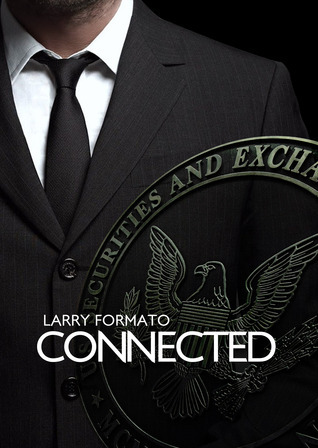 Mr. Formato is currently focused on multiple mergers and acquisitions and has written his book, Connected, detailing his life in the Penny Stock Market.